Sporting passion in Australia is nearly always handed down from generation to generation – just ask yourself how you ended up barracking for the footy team you do. And cycling is no different, as a sport that can be savoured by all ages and with a rich narrative of stories that defy the years. At 20 years of age, Leongatha’s Tom McFarlane knows more about the Jayco Herald Sun Tour history than most, as he looks to emulate his father David’s success in Australia’s oldest stage race. A former Australian road champion, David McFarlane tasted what was simply known as the ‘Sun Tour’ stage victory three times throughout his career – twice within his home region of Gippsland. This year, Tom will step into the shoes of his father and race the Jayco Herald Sun Tour for the first time with the KordaMentha Real Estate Australian National Team. “It’s pretty special knowing that I now get to race in the same events that Dad used to do and had success in over the years. “At Nationals, recently I was with some team mates looking back through previous winners and getting to his name is always cool. “I’ve always seen a lot of photos and heard plenty of stories from when Dad used to race the Sun Tour, so I understand how important this race is to him and in Australian cycling. McFarlane will race alongside European Pro Brenton Jones (DELKO Marseille Provence), rising star Sam Jenner (Team Wiggins) and his National Road Series teammates Nathan Elliott, Carter Turnbull, Rudy Porter and David Williams (Inform-MAKE). “I’m very excited, it’s a special opportunity to get to race in the national colours and to get to race in a field of this quality will be a good chance to test myself at this level. 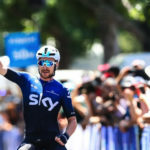 The Jayco Herald Sun Tour begins on January 30 on Phillip Island before traversing through the Gippsland towns of Wonthaggi, Churchill, Sale and Warragul. 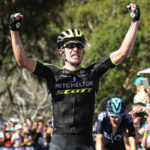 The penultimate day sees riders tackle Arthurs Seat on the Mornington Peninsula five times before a thrilling finale around Melbourne’s Botanical Gardens. 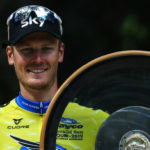 “The second stage from Wonthaggi to Churchill will be a good one as it is very close to my home town of Leongatha and is nearly all on roads that I have trained on for years and know like the back of my hand. 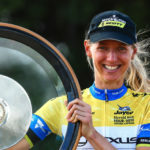 The Jayco Herald Sun Tour will run in conjunction with the high calibre Lexus of Blackburn Women’s Herald Sun Tour, from January 30 – February 3. Follow our social media on Facebook, Instagram and Twitter to stay in touch with team naming, rider inclusions and race developments. PHOTO: Supplied by the Great Southern Star Newspaper.